As I went off to college at the University of Pennsylvania in the Fall of 1977, my mom, Judith Mahaffie, said, “Oh, my father attended Penn, at least for a time.” So before long, when I had settled in at the college, I went to the Registrar’s office, dug through a card file of alumnae, and found his name. He had attended from 1916 to 1918. The clerk at the Registrar’s office was pleased that I was pleased to find something. He was John Redmond Farrar, whom everyone called Redmond. And though we don’t know much about his time there, we know a few facts about him and a great deal more about the college in those years. 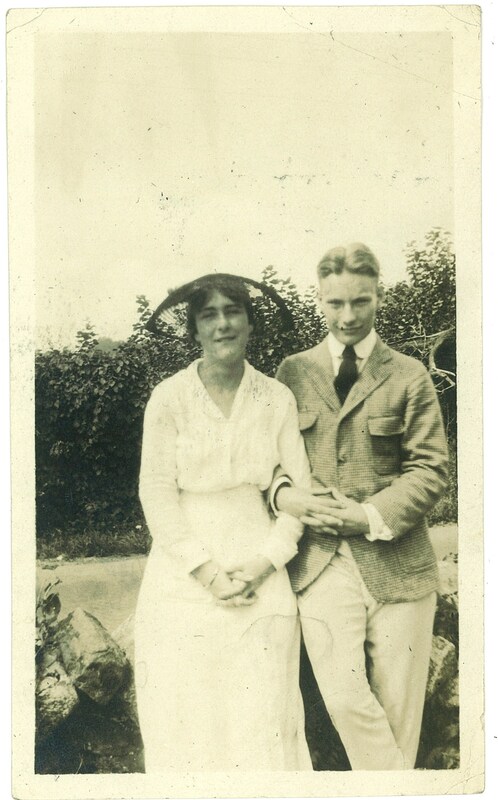 On Thursday, September 28, 1916, Redmond left his Brooklyn home to enroll at the University of Pennsylvania. In the 1920s and into the 30s, Redmond, spent time composing “hot dance” songs, but as a young fresh graduate from Brooklyn’s Polytechnic Preparatory Institute (Poly Prep), he was headed to college to prepare for a career in business. Redmond was 18 years old. He was the son of a prominent Brooklyn judge, John Redmond Farrar, Sr. He was enrolling in Penn’s Wharton School of Finance and Commerce. Redmond’s father was among those listed in a 1914 edition of “Empire State Notables”: “Lawyer, member of Assembly of N.Y. 1980-09, Elected Justice Municipal Court of City of N.Y. for Full Term of Ten Years Beginning January 1, 1910, Brooklyn, N.Y.” John R. Farrar, Sr. did not attend college, and it’s likely Redmond was the first in his family to do so. Redmond likely rode by cab (which may have been horse-drawn) or streetcar from Brooklyn to New York City’s Penn Station and took a Pennsylvania Railroad parlor car to West Philadelphia. Campus was a short walk or cab ride from there. He would have passed the massive Croft & Allen Chocolate Works, which produced chocolates and “breakfast cocoa.” It’s delicious aroma probably mixed with sundry light industrial smells as he passed through the West Philadelphia neighborhood now taken up largely by Drexel University and a much expanded Penn campus. All freshmen took Phys. Ed. twice a week. And Penn’s Professor of Physical Education, R. Tait McKenzie, had a grand theory of exercise, all about the learning and the physical abilities that young men needed in their educations. Exercise was a preventive. Gentlemanly competition was the route to good mental and physical health. So two days each week the freshmen got their physical training to learn to be refined men of good health. ￼Redmond’s room was no. 15, Morgan, in one of several dozen connected dorm houses in the Quadrangle. Likely he had a single room—the majority of rooms were singles, and the student directory doesn’t seem to show anyone else with the same room number. Tuition that year was $150 plus a $10 general fee. Room and board depended on your room, but ranged $220 to $350 for the year. Text books ran between $10 and $25. A moderate budget for a private college today, 100 years later is $48,000. In the Summer of 1916, England was already at war with Germany, and Italy joined the fight late that Summer. The University emerged in a war fever by the following spring, but that Fall activity was only quietly building, with some students engaged in military drills on Franklin Field. Penn was a modern university by then, growing from a small, elite college a few decades prior, to a full university of multiple buildings, a hospital, Franklin Field stadium, a gymnasium, and the University Museum. There were nearly 8,000 students enrolled. And the student body was diverse, it included Jews, Chinese and other foreigners, and even women. We don’t know if Redmond did much at Penn outside classes. A near perfect fit for him, with his experience in musical theater, was Penn’s Mask & Wig Club, which had men-only casts perform musicals. By high school he had become talented at not only appearing in musical theater, but composing some of the songs. Continuing as an alumnus of Brooklyn’s Poly Prep, Redmond starred in and helped write musicals, often playing female characters. His daughter, Judith Mahaffie, expects he had a band while at college. “He always had a band,” she said. Redmond only studied at Penn for two years. It’s not clear why he might have left, but World War I, may have been a factor. 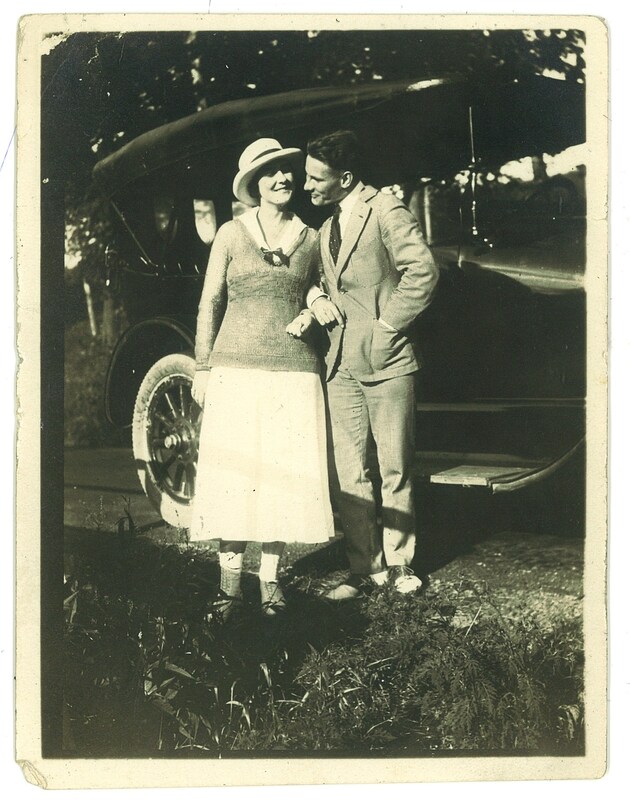 So might the pull of Brooklyn where he was already courting Roberta Becker, whom he married in November 1919. And he was busy with the PolyPrep musicals starting in the Spring of his freshman year, and may have found that more compeling than his studies. Based on his registration for the draft, in 1918, Redmond enrolled in the Students Army Training Corps, established at Columbia University to support the war effort. Students were required to study “Issues of the War,” mathematics, physics, and topography and map making. The Corps program was disbanded with Armistice that Fall. Redmond had registred for the Draft on September 12, 1918. He was then working as a clerk at Farmer’s Loan and Trust Co., 22 William Street, near Wall Street. He is listed as entering NY State National Guard service on October 1, 1918. There is more to Redmond’s story. A future post will look at his “hot dance” composing career.